"This is the brand new project of Alvarius B. (Alan Bishop of Sun City Girls). 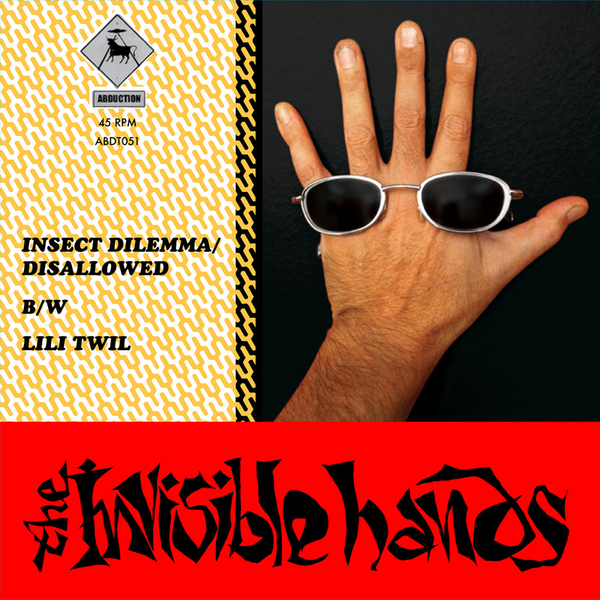 Recorded in Cairo in October 2012, both tracks are not found on the new Invisible Hands self-titled album and exclusive to this single. One is a fully orchestrated version of two Alvarius B tracks, one of those tracks, Insect Dilemma, was included on Sun City Girl's classic 330,003 Crossdressers from Beyond the Rig Veda album from 1996. The other, Lili Twil, is a cover of a Moroccan folk song from the early 1970s sung in Arabic by Aya Hemeda."